Some of you may know a friend recommended me to play some of the Shantae games which I didn’t even know existed until then. They’re 2D platformers done in a bit of an old school style. 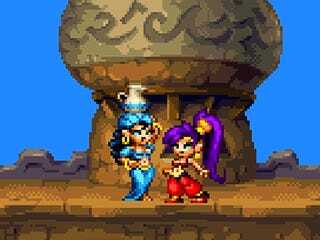 You control a half-genie girl Shantae who loves to dance. The first game came out in 2002 for GBC and then the 2nd, Risky’s Revenge, came out for a variety of platforms in 2010. You can play the 2nd, 3rd, and 4th ones for PC... I just finished RR yesteday. Quite fun platforming games, especially if you don’t like longer ones (it took me around 6 hours to 100% Risky’s Revenge). Variety of attacks and such as well. 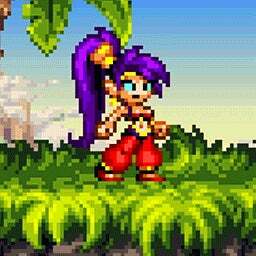 If you like the 2D Castlevanias and Metroids, Shantae will remind you of those... especially with the hair whipping. The story is pretty easy to follow and there aren’t too many characters to keep track of.